Cream the butter with the sugar till well mixed. Add the egg and vanilla and blend well. Add the bicarbonate, salt, cinnamon, nutmeg, ginger, cardamon and flour and blend. Refrigerate the dough for concerning associate degree hour. heat up the kitchen appliance to 375 F.
Roll the dough into one in. balls. Use a cookie press to flatten the balls till they're 1/4 in. thick. Sprinkle the topnotch with cinnamon sugar. Place on cookie sheets coated in parchment paper. Bake for eleven minutes, till gently brown round the edges. 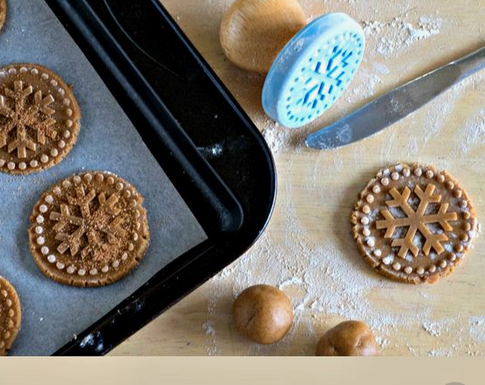 0 Response to "Speculoos | Dutch Windmill Cookies"